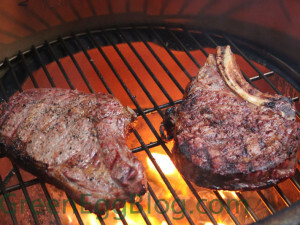 Steak is one of the easiest and most delicious meats to cook on the Big Green Egg. Heat Big Green Egg to 650°F. Place steaks on cooking grid; close lid. 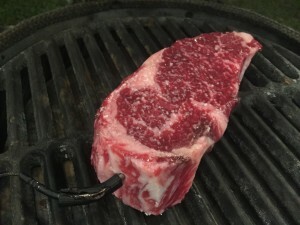 Sear steaks for 2 minutes. Burp the Egg then Open lid; flip steaks. Close lid and sear 2 minutes on second side. Burp the Egg then Open lid; flip one last time. Then close dampers to “off” position and leave the steaks in an additional 2 minutes. 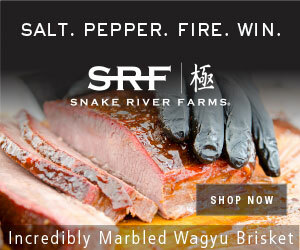 A total of 6 minutes cooking time will result in medium-rare for a 1-inch thick steak. 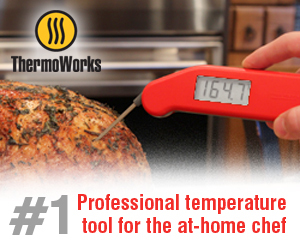 If you prefer medium doneness leave it in for an extra minute or until instant read meat thermometer reads 145°F.